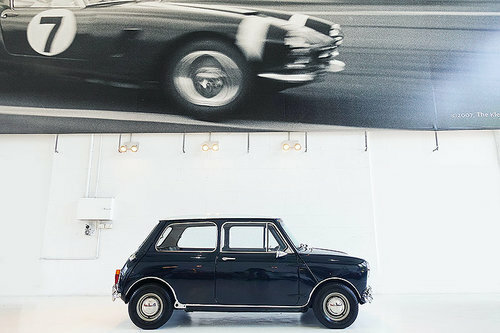 If Alec Issigonis' revolutionary Mini introduced the world to a new breed of small car in 1959, it was John Cooper who created what is arguably the founding father of today's hot hatches- the Mini Cooper ?S?. 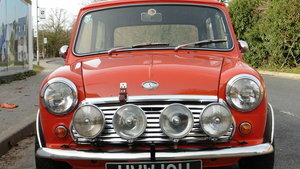 Like any car that stood out from the crowd, for whatever reason, Minis are usually fondly remembered by past owners. 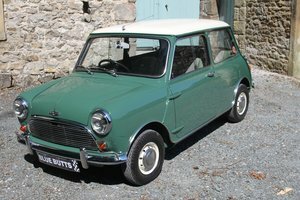 For small cars, they defy the status quo in a big way, which is essentially why we buy, collect and enjoy sports classic cars in the first place. Totally engaging and never, ever boring the ?S? 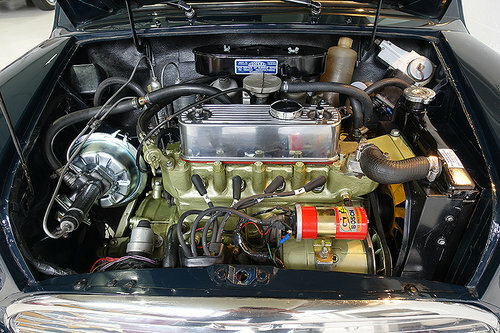 nomenclature essentially denotes more power, better brakes, and stronger engine components like a nitrided steel crankshaft. Not only made famous from an incredible four rally wins in Monte Carlo from 1964 through to 1967, the Mini Cooper S was also used by the police force in the UK and here in Australia as a high-speed pursuit vehicle. 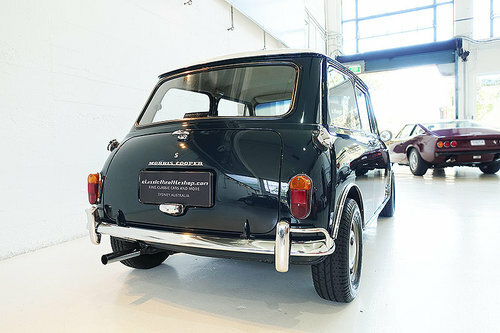 Today, finding a genuine Mini Cooper S isn?t easy as the ravages of time have more often than not taken their toll. Narrowing the search even further to find a well maintained, Australian complied example is nigh on impossible but that?s exactly what we?ve been waiting on tender hooks to discover. 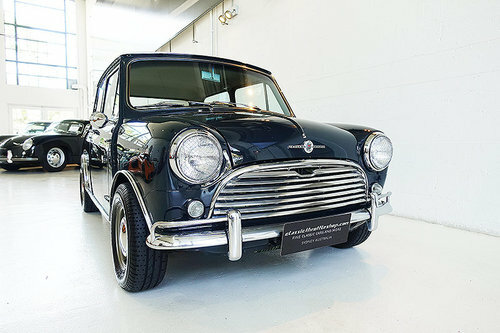 Available here is a brilliant, Australian delivered Mini Cooper S sold new in 1967 presented in its original Marine Blue and Toga White top over Black trim and the subject of a recent detailed mechanical overhaul sharpening its original and famous driving dynamics to a fine point. Retaining its correct and key Cooper S identifying features from the chassis number on the original radiator shroud, to the original spot welds for the flared guards, correct SU carburettors, twin fuel tanks and 120mph speedometer with corresponding temperature and oil pressure gauges this Mini Cooper S is a rare find. Stepping through the pint sized door apertures reveals the original well-shaped sports seats and enough room for 4 adults, neatly finished vinyl and chrome dash trim, a full complement of correct and crystal clear instruments perfectly aimed at the driver, correct and well fitted carpets- the overall feeling is simply fresh and sporty. 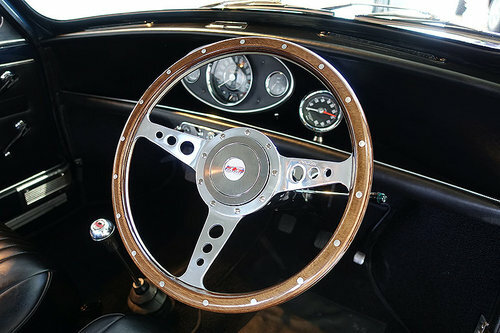 All tell-tale signs point to how well this car has been maintained and a short stint behind the wheel highlights the signature quick gear changes, fast and well balanced steering feel and a sharp throttle response Cooper S?s are so famous for. 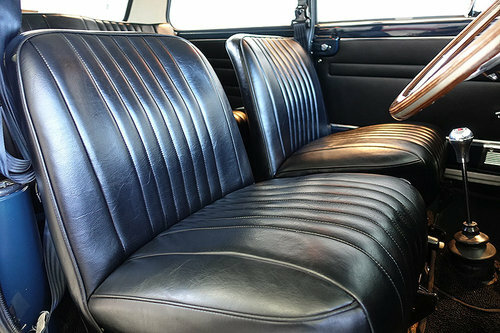 One of the best driver?s cars ever produced, hard to find and made even more special when available in turnkey condition, these rare cars are still so usable today. Arguably more engaging than any modern hot hatch because sometimes, it?s much more fun to drive a (relatively) slow car fast than a fast car slow. 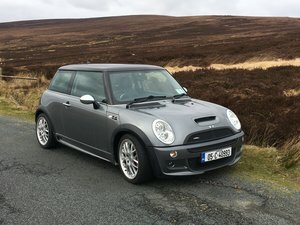 An excellent addition to any garage or established collection, this Australian delivered Mini Cooper S offers a unique opportunity to own, drive and invest in a slice of motoring history as values and interest continue to climb the world over.